Prime Minister Theresa May fleshed out what she called a “fair and serious” offer to guarantee the rights of EU migrants in Britain once it has left the European Union. “I want to completely reassure people that under these plans no EU citizen currently in the UK lawfully will be asked to leave at the point the UK leaves the EU,” she told parliament. 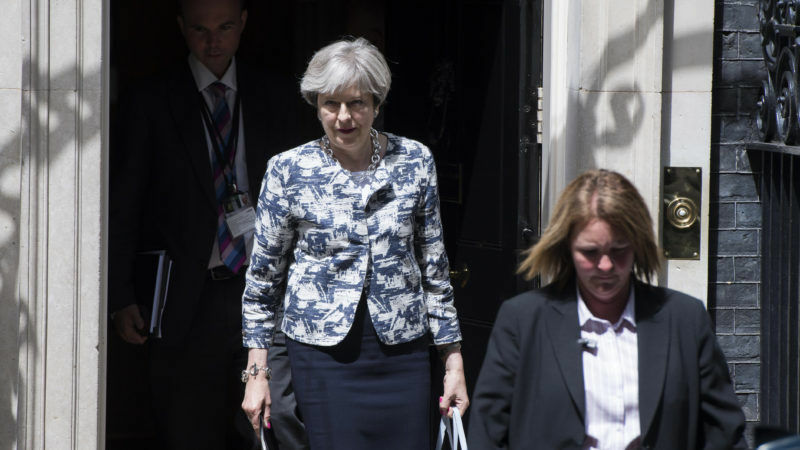 “We want you to stay,” May said, promising to end their “anxiety” after last year’s referendum vote to end Britain’s four-decade membership of the bloc put the future of 3.2 million EU citizens in doubt. The government’s 17-page policy plan would allow Europeans to stay in post-Brexit Britain with broadly the same rights as British citizens, with access to healthcare, education, welfare and pensions. But they would have to apply to join a new register conferring “settled status”, and would be subject to British law without recourse to the European Court of Justice. Moreover, non-European spouses of EU nationals would not enjoy the same rights after Brexit. They will have to show a minimum level of income, and remain subject to the byzantine immigration application that non-EU migrants have to complete nowadays. The application process for the new “settled status” register for EU nationals will not be so complicated, British officials stressed, but the response from Brussels to the policy proposals was cool. And May was heckled in parliament as opposition lawmakers accused her of using Europeans as “bargaining chips” by refusing to guarantee their rights until a reciprocal deal is struck for around one million Britons living elsewhere in the EU. “EU goal on citizens’ rights: same level of protection as in EU law. More ambition, clarity and guarantees needed than in today’s UK position,” EU chief negotiator Michel Barnier said in a tweet. The European Parliament’s Brexit coordinator, Guy Verhofstadt, welcomed May’s proposal to simplify residency application procedures but said there were “a number of limitations” in the proposals. He warned that “any degradation of the rights linked to freedom of movement” before Britain leaves the EU would violate EU law. Resolving the issue is an early priority for both sides involved in the Brexit talks that began last week, but also threatens to become one of the biggest flashpoints, along with the financial bill that London will eventually owe to settle its EU liabilities. “I believe it’s a generous offer,” May insisted to parliament, putting details on the framework after first outlining the offer at an EU summit last week, adding that it would provide “reassurance and certainty”. British Prime Minister Theresa May put on a brave face at the end of an EU summit on Friday (23 June), insisting she had made a “fair and serious” offer to her European partners and that all aspects of Brexit were still up for discussion. But the writing on the wall was unmistakable. The3million, a lobby group for EU nationals in Britain, said they remained “in limbo” despite May’s proposals. “British friends joke that they can hide us in sheds and hedges – it’s not funny! We’re people not Bargaining Chip(s),” the group tweeted. 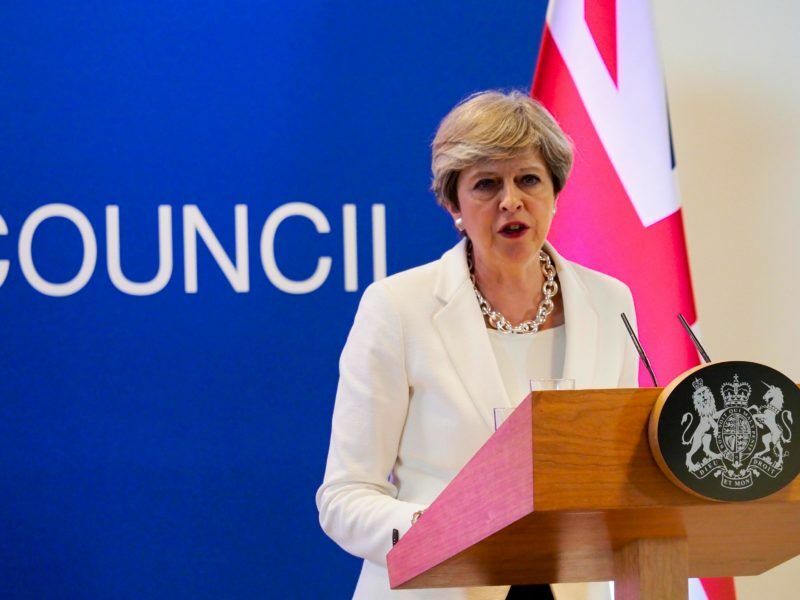 One major point of uncertainty is still on the table: May did not specify the cut-off date after which new arrivals from Europe will be subject to tighter rules. The government said the matter was one for the negotiations with the EU. EU citizens are currently free to move to Britain from the other 27 member states but this right will end with Brexit, forcing those in Britain who remain to apply for the new status. Mass immigration from the EU was a key factor in last year’s Brexit referendum vote to leave the bloc. The government also unveiled plans to exclude “serious or persistent criminals, and those whom we consider a threat to the UK” – which was a potent issue for “leave” campaigners. European rules already allow member states to expel other EU citizens on security grounds, and between 4,000 and 5,000 EU prisoners were deported from Britain last year, according to the interior ministry.